We are proud to announce the winner of the 2017 SBM Scholarship Winner, Dylan Alexander. Dylan is a dedicated student volunteer and outstanding leader! 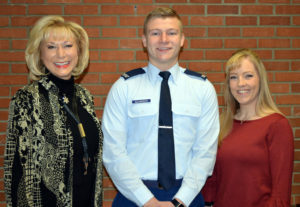 In addition, Dylan was recently accepted into the United States Air Force Academy, where he will be joining a select group of our nation’s finest young people. Congratulations Dylan on your success, we wish you luck. A $500 check was presented to Dylan by Wendy Johnson, and Shannon Richter. Current SBM customers login below to shop now! Order office supplies, facility and break room supplies, technology and more. 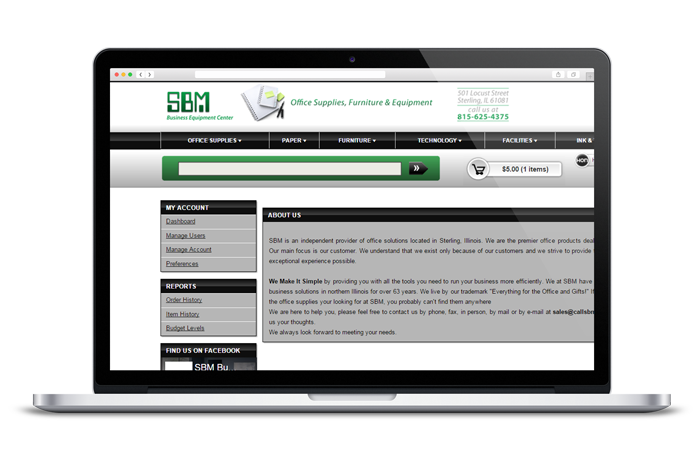 As a great convenience and tool for our customers, we are proud to offer the ability to manage your equipment on the web. 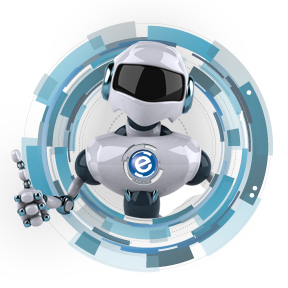 Order supplies, check order status, initiate service request, monitor account information, view account summary, and input meter readings in real time. ©2018 SBM Business Equipment Center. All Rights Reserved. SBM is not responsible for printing or typographical errors. Prices, policies, and availability are subject to change without notice.